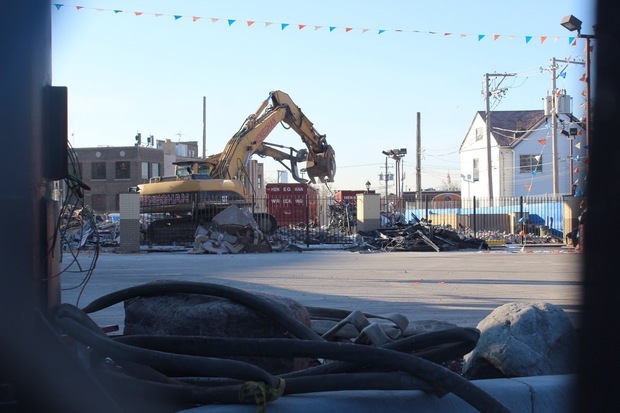 WRIGLEYVILLE — Demolition started early Monday on the Wrigleyville McDonald's to make way for a hotel across from Wrigley Field. The McDonald's at 3620 N. Clark St. closed March 1, after the tear-down of the Cubs Store next door. 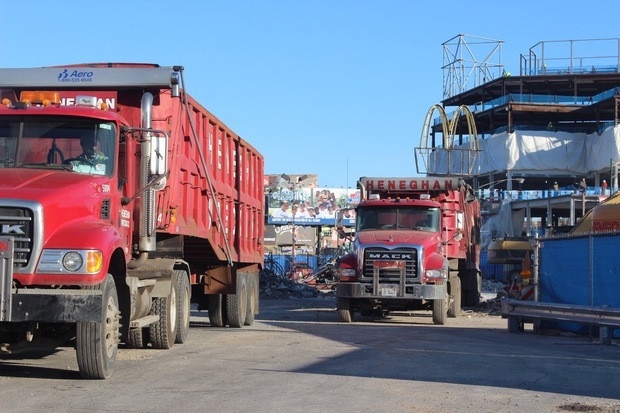 Work was originally set to begin last week, but it took longer than expected to deliver the necessary demolition machinery. 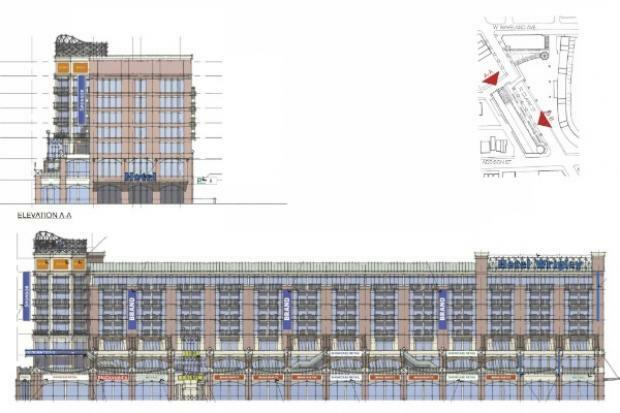 The hotel plans are part of the $500 million overhaul at Clark and Addison, where April 11's Opening Day will mark the end of the second year of offseason construction. This year, work on the plaza and office building will continue during the Cubs' season on non-game days. McDonald's will reopen in the hotel building once it's complete. Plans from 2013 depict a glass, L-shaped building with 175 rooms directly across from the triangle-shaped plaza on Clark Street. The Chicago Cubs estimate the project will take 1 year and 8 months, meaning it would finish in late 2017 or early 2018. 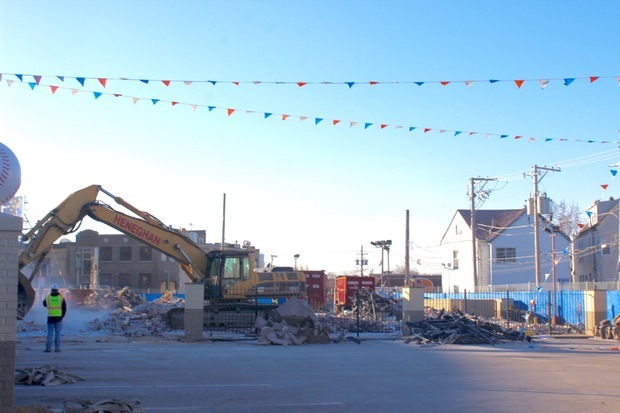 Reporter Ariel Cheung on the changing landscape surrounding Wrigley Field. Along with ongoing renovations at Wrigley Field, the start of work on Addison Park on Clark could mean construction will take place at three of the four corners, with only The Cubby Bear unchanged. The Wrigley Field plaza will likely not be finished until the fall, Cubs officials said this month. That leaves time for officials to hammer out the details of an ordinance regulating its use. In January, Ald. Tom Tunney (44th) put forth legislation to limit plaza operating hours to 9 a.m. to 9 p.m. Sunday through Thursday and until 10 p.m. Fridays and Saturdays. Alcohol would be prohibited on the Wrigley Field plaza during Chicago Cubs games or during events like live concerts. However, the Cubs are still negotiating terms, hoping for a more flexible plan that would allow later events and alcohol sales. Meanwhile, the office building under construction at the north end of the plaza should be finished in January 2017. The Cubs said the ballpark will be ready for Opening Day April 11, despite continuing work on the facade and the iconic marquee.